Fresh flowers can help to brighten any room. A beautiful bouquet of flowers regardless of size can bring life, soul and a splash of colour to any location. Usually displayed in the kitchen your fresh blooms can be used in any room around your home, you will be surprised by just how much of an impact and statement they can make. Next time you receive a fresh bouquet try displaying them in one of these rooms. A big vase overflowing with fresh flowers will make a big impact when you or your guests walk through your front door. The vibrant colours catch the eye and can help to enhance the look and feel of your home’s styling. Multiple vases of the same style but different heights filled with roses create a very elegant look that makes an immediate impression. A small bunch of lightly perfumed flowers placed on your bedside table in colours that match your interior decor will help you relax and unwind as you get ready for bed of a night and help you wake up refreshed and ready to face the day in the morning. You will be surprised by how much a nice display of flowers in your bedroom can help to make you feel relaxed and revitalised. Most home bathrooms are designed to be styled with accessories to bring colour and life to the room. Fresh flowers are a great way to add colour and life to your bathroom. 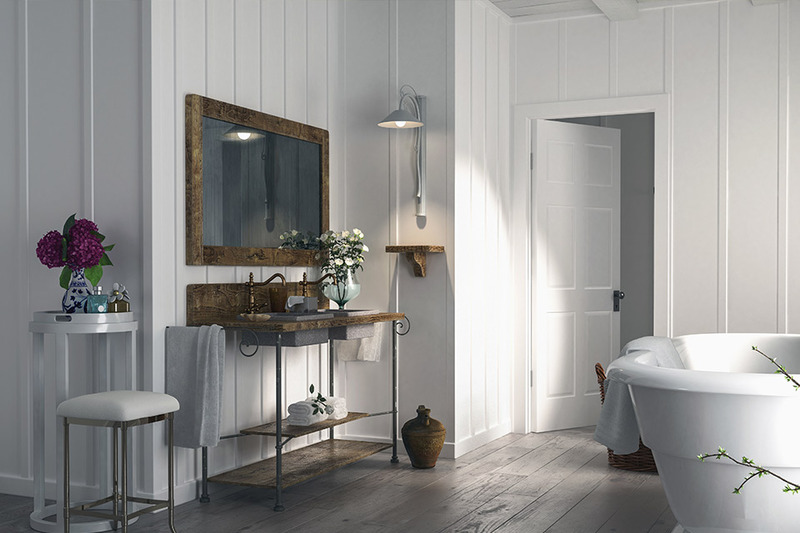 Without having to completely restyle your bathroom, fresh blooms in your choice of colours and tones will bring a new and fresh feel to your bathroom. This is also a great touch if you are planning to have guests over and want to add a nice focal point and splash of colour to your bathroom. If you work from home or spend a lot of time in your home office, treat yourself to a bunch of fresh flowers. Display them in a part of your home office that you look at frequently to reap the benefits. Pastel and light colours will help to bring an air of calm and tranquillity while brighter colours can bring a fun and playful feeling to your office. Fresh flowers help to bring the outside in meaning you increase productivity. This one may sound a bit strange but a big bouquet displayed on your patio table or arranged in a tall vase placed between your outdoor furniture will bring colour and vibrancy to your outdoor area. This is a great decorating option when you are entertaining or spending more time outdoors during spring and summer. Choose bright summery colours that will stand out against the other colours in your garden and around your patio area. Add your blooms to a small vase for something more subtle or choose tall vases overflowing with fresh flowers for a standout fashionable look. Fresh flowers are extremely versatile and can be displayed anywhere around your home that you feel can do with a splash of colour or touch of elegance. Speak to the team at Flower Flow to see how we can help you pick the perfect fresh flowers for your home.